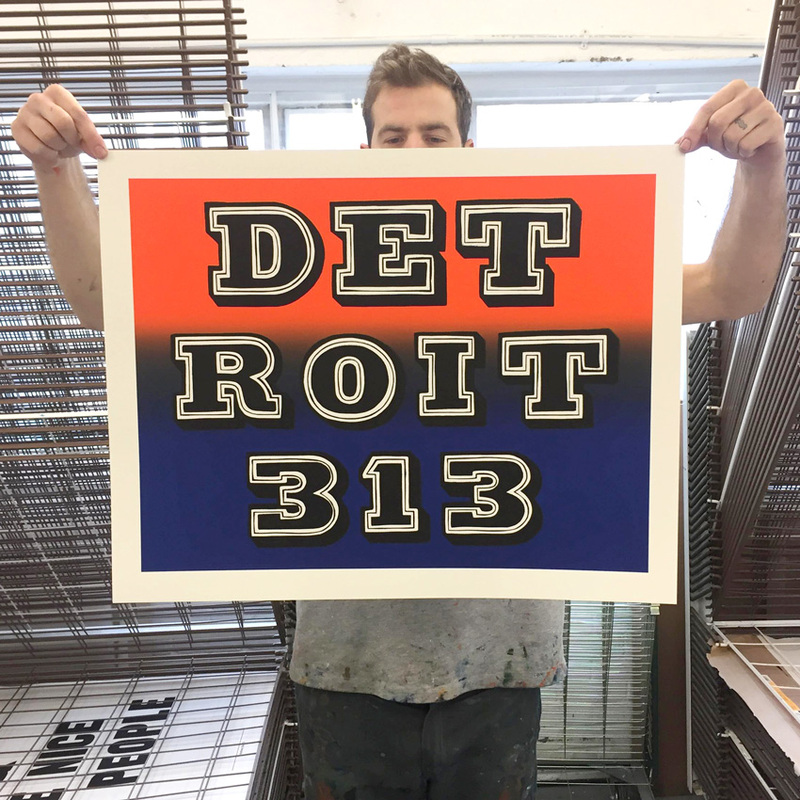 1xRUN is extremely excited to welcome in legendary United Kingdom artist Ben Eine as he joins us with his 1xDebut Detroit 313 to coincide with Detroit day on March 13th, 3/13! 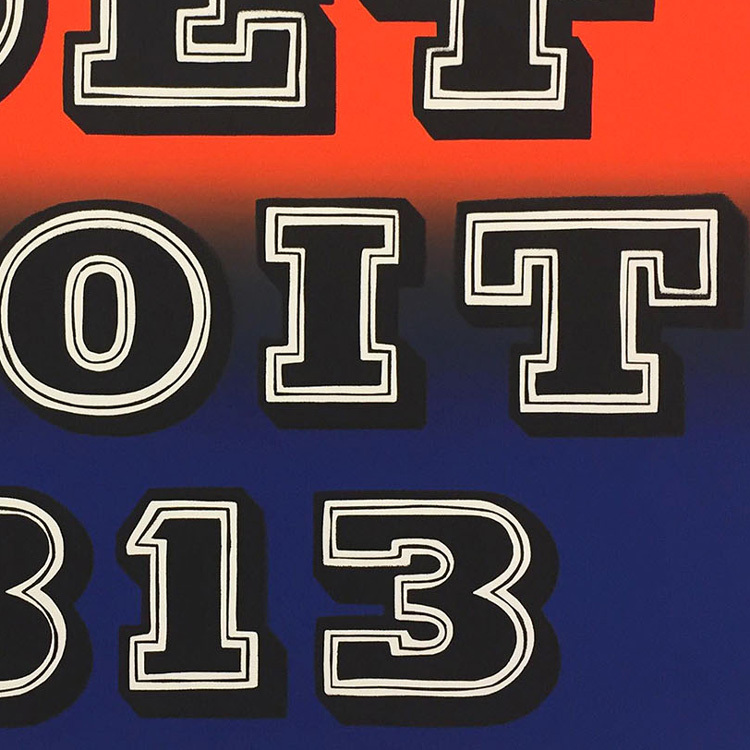 Eine has been prolific in the current contemporary art scene, with his signature style radiating out from shutters of London around the world. 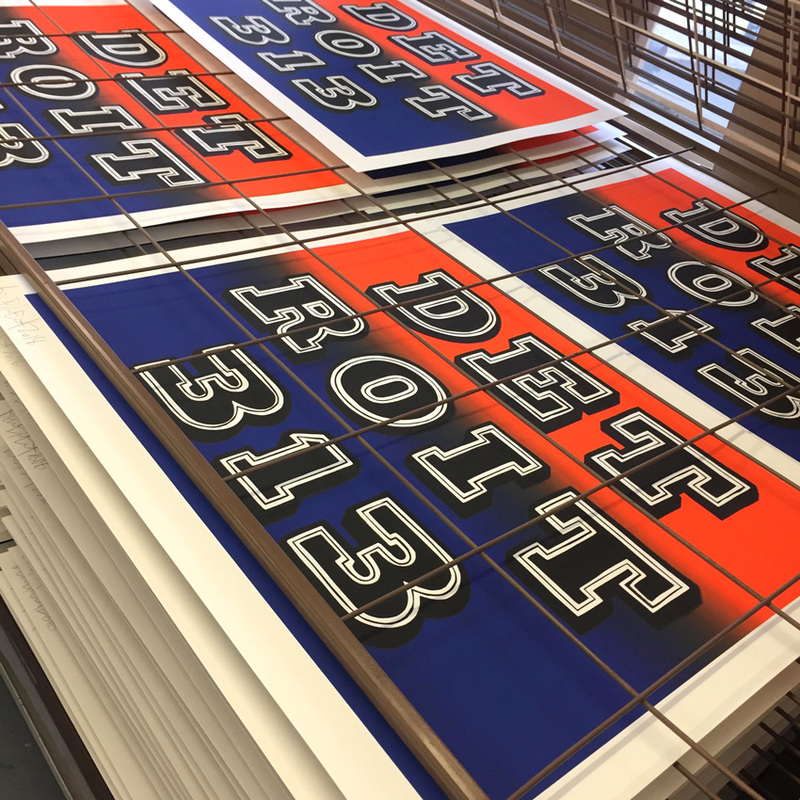 Eine is one of a handful of artists that is able to say that his work has been used in international diplomacy, with former Prime Minister Tony Blair giving one of Eine's paintings to former President Barack Obama as a gift. 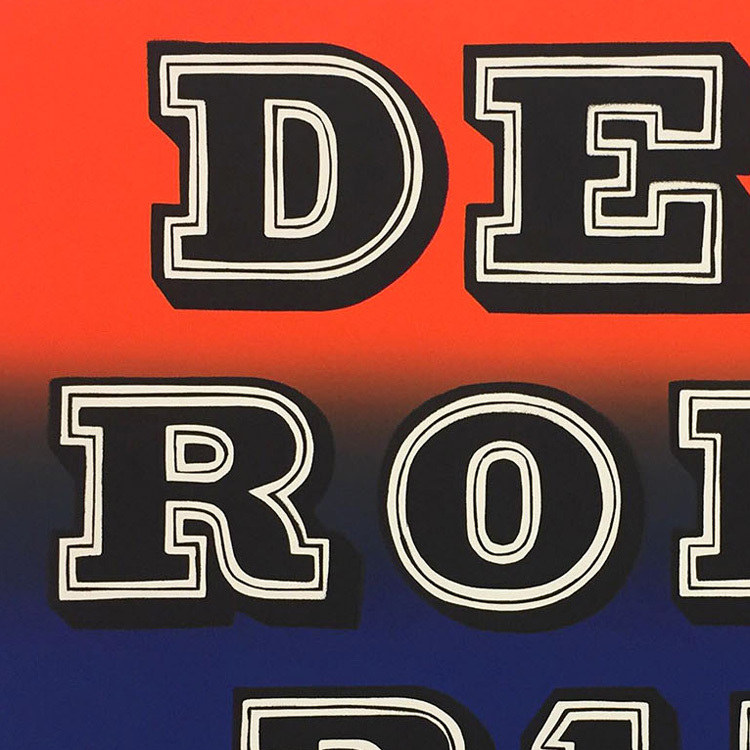 Read on to find out more about this very special edition and Ben Eine, and be sure to grab yours before they are gone . . . 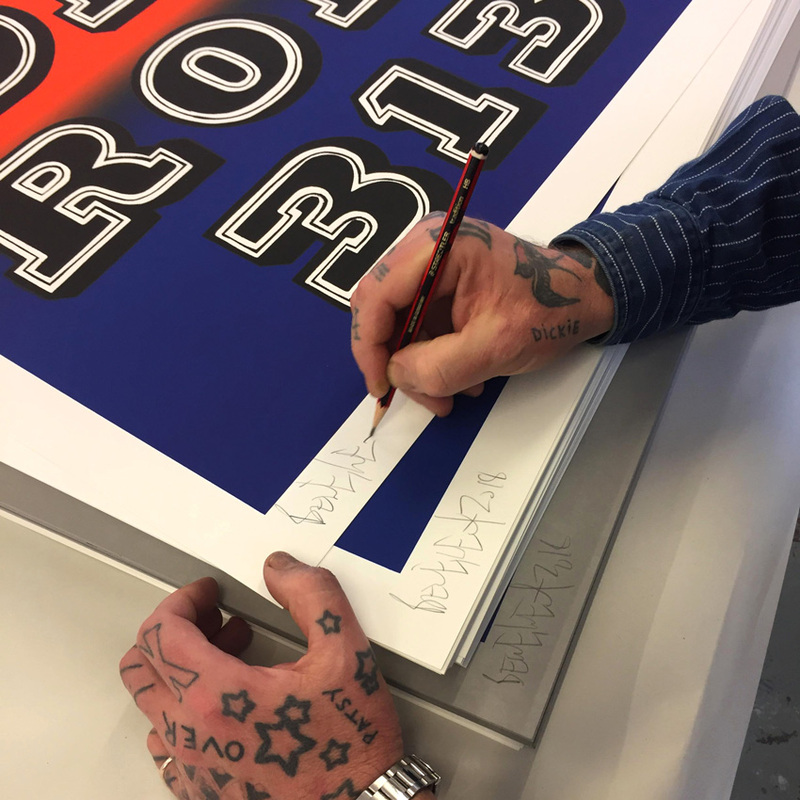 This RUN is signed, numbered and comes with a Certificate of Authenticity from Ben Eine and 1xRUN. 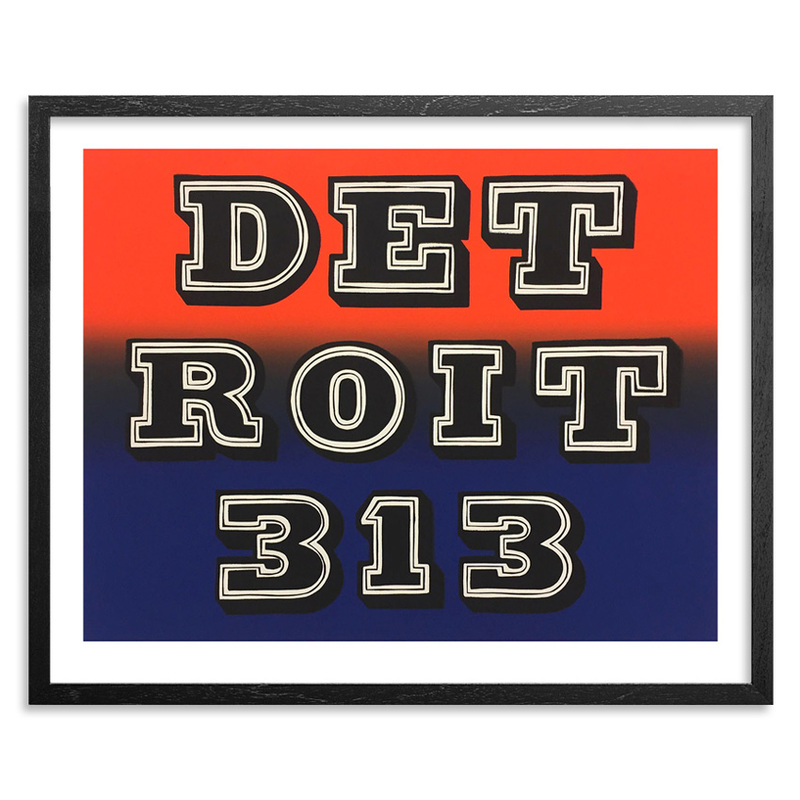 "This edition is part of a new series of city/place editions that I'm working on. It's very typical of my original paintings, perfect formula for cities all over the world. I love the US telephone codes for each area. It's my favorite mix of numbers and letters. This piece was created using hand-cut stencils, spray on paper. Rescanned. And then screen printed. Ben Eine is most notable for his alphabet lettering on shop shutters in London's Shoreditch, Brick Lane and Broadway Market areas. Some of these letters have been mapped for ease of finding. He has also taken his lettering to the streets of Paris, Stockholm, Hastings and Newcastle upon Tyne. Prior to becoming involved in commercial graffiti, Eine was a very famous and highly credible writer in the underground London graffiti scene. His unusual 'throw up' was created to stand out from the usual tags and dubs seen on the streets and can still be found in some dingy areas of East London. Inspired by the work of fashion assassin Noki, Eine first started to explore more commercial avenues in a workshop above the Dragon Bar in Leonard Street, London (since demolished). Eine produced a number of custom clothing designs notably some custom "VANDALS" sweatshirts and started to explore screen prints eventually working as a screen printer for cult screen print company Pictures On Walls. 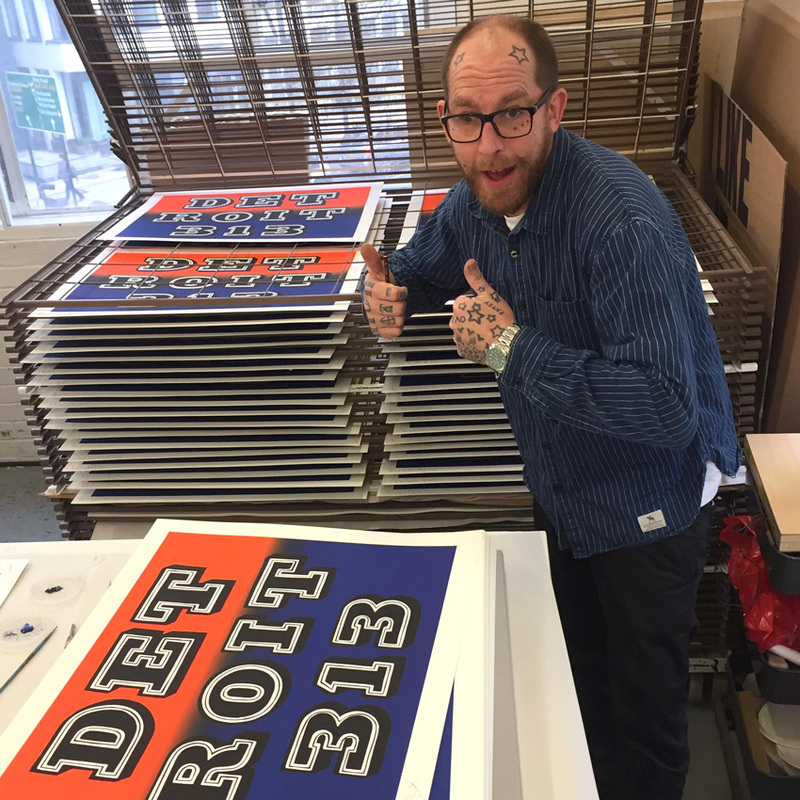 Eine produced many of the hand pulled prints for artists represented by POW including Banksy, Jamie Hewlett, Mode2, Modern Toss and David Shrigley. His natural talent for colour combinations meant that he was able to enhance the work supplied by the artists. He left this position to pursue his own solo career in 2008. 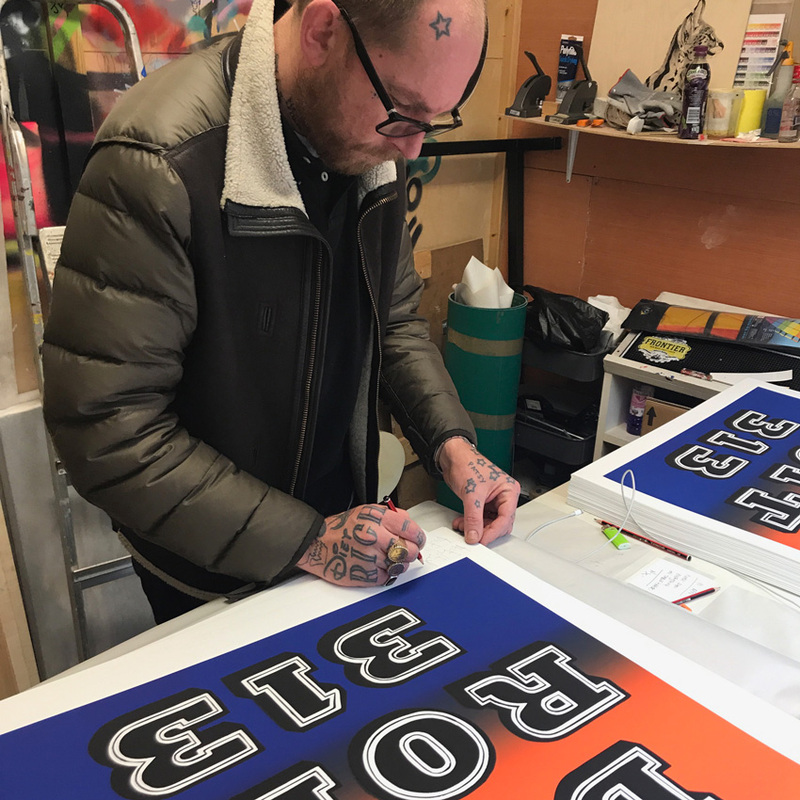 At this time Eine contributed to sticker graffiti and was prolific in East London with his neon and black EINE stickers (multiple EINE names). Eine first came to prominence in the "commercial" graffiti scene through his symbiotic partnership with London graffiti artist Banksy; through Eine, Banksy was able to access the underground scene and through Banksy Eine accessed the commercial world. Find more by Ben Eine at einelondon.com. Follow Ben on Instagram @einesigns.